Special needs is a term used in clinical diagnostic and functional development to describe individuals who require assistance for disabilities that may be medical, mental, or psychological. Types of special needs vary in severity. People with autism, down syndrome, dyslexia, blindness, ADHD, or cystic fibrosis, for example, may be considered to have special needs. However, special needs can also include cleft lips and/or palates, port-wine stains, or missing limbs. You have worked very hard to protect and maintain a lifestyle for your special needs loved one. How will you protect that lifestyle when you are gone? For families who have loved ones with special needs there are so many things to consider and prepare for. After analyzing your financial situation, evaluating your loved ones needs and creating a special needs trust funded with life insurance will help ensure there is a source of funds to help provide the continued care for him/her. Furthermore, if designed properly, a special needs trust will help to preserve your loved ones current and future access to government benefits, should he or she qualify. Have you established the proper wills and trust that layout your exact vision of how you want your special needs loved one to be cared for if you are not here? Have you conveyed these plans to the executor or guardian? Do you have enough assets flowing into the trust to ensure that once distributions begin the principal will last throughout the beneficiary’s lifetime? If you think so, when was the last time you reviewed it? Are you confident enough in your plan today, that if it had to be executed tomorrow, your wishes would be clearly understood? It is hard to prepare for everything alone. Allowing us to walk you through our process, we can help close the gaps and your loved ones will continue to have the lifestyle you provided. 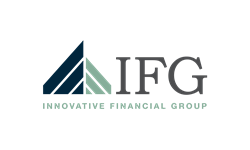 Call Innovative Financial Group today for a complimentary conversation regarding your current situation and how we can help provide additional confidence that what you care about can be protected now and into the future. *Representatives of Signator Investors, Inc. do not provide tax and legal advice. Please consult your tax advisor or attorney for such guidance.